Using speech recognition, native speakers and even AR, this app takes mobile language learning to a new level. It’s easy to put off learning a new language. But adding a language app to your iPhone can help. Since your device is always with you, you can learn a language anywhere. Language apps are perfect for plane rides or waiting for your date at the restaurant — and Mondly raises the bar. The app’s cutting-edge speech recognition listens to your spoken words and phrases, providing positive feedback when you speak clearly and correctly. You will memorize core words, learn to form sentences, and take part in conversations. And it’s all backed by Mondly’s on-board dictionary and verb conjugator. A roster of professional voice actors and a conversation-focused curriculum help make sure you learn proper pronunciation from conversations between native speakers. You can choose five of 33 offered languages, so even polyglots can learn new tongues. 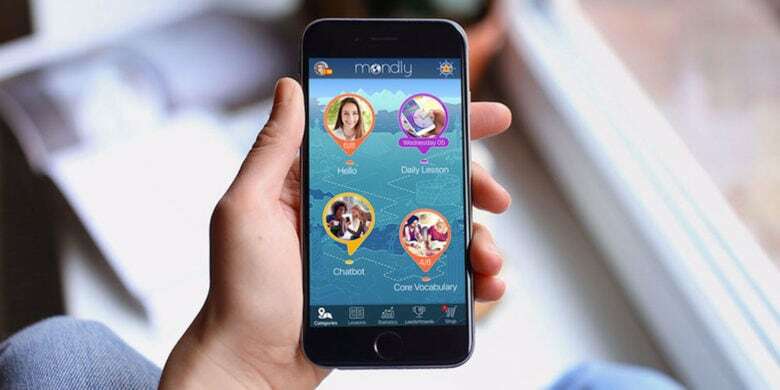 Mondly even boasts an augmented reality component, so it’s no wonder the app earned a 4.7 rating out of almost 8,000 reviews on the App Store.